Just like most of Cinema EOS cameras, C300 Mark II comes with an internal waveform monitor. It is indeed a great feature and we certainly want to keep it. Unfortunately, the position of the waveform monitor is fixed in one place. As a result, it often covers important things that we want to monitor from the screen when we are shooting. Thankfully, the version 1.0.9.1.00 firmware successfully addresses the issue. Originally, the waveform monitor is fixed on the right side of the screen. But now, you can easily move it to the bottom left part of the screen. This way, you can easily adjust the position of the waveform monitor so you can keep it active without disrupting your shooting. This might be just a small improvement, but it is really helpful. When you are activating the Face Only function, the color of the AF icon is now able to change. When a face is detected, the icon will turn white. But when the camera doesn’t recognize any face, the icon will be gray. This update is also available in C100 Mark II. If you have updated your Canon C300 Mark II firmware and you pair the camera with CN-E70-200 mm T4.4 L IS KAS S, there are some new features that you can enjoy. Some of them are dual pixel focus guide function, using Camera’s Control dial to manually control the iris and also using the joystick on the grip to zoom the lens. 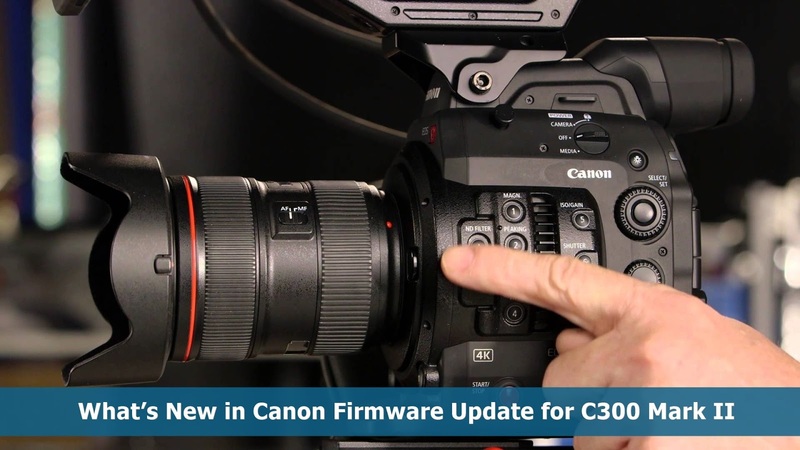 0 Response to "What’s New in Canon Firmware Update for C300 Mark II"